Richard Chaney, M.A., L.M.F.T. is a licensed Marriage and Family Therapist; he received his degree in 1993 from Drexel University’s Couples and Family Therapy program. 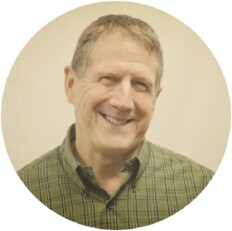 In addition to his training and experience providing individual, couples and family therapy, he has extensive experience treating adolescent teens, young adults and adults who are recovering from the effects of physical, sexual or emotional trauma as well as those who are seeking relief and resolution from symptoms of depression and anxiety. His experience also includes treating substance dependency and abuse, loss and bereavement, and stage of life adjustment. Richard works within a best practices model identifying individual strengths and sources of resilience. He has training and experience in a variety of treatment approaches including Structural and Contextual family therapy as well as Cognitive Behavioral Therapy and brief solution focused approaches. A clinical member of the AAMFT and an AAMFT Approved Supervisor, he has been providing clinical supervision for over 20 years to both seasoned and student therapists working and studying in a wide variety of agency, private practice and educational settings.